Catherine is an academic, midwife, registered nurse and neonatal nurse with over 24 years clinical experience. 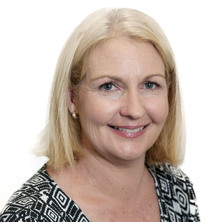 Along with her continued clinical work Catherine has contributed to project, policy and advisory roles in Queensland Health. Catherine joined the NMSW/UQ in as a lecturer 2015 after completing her PhD. She is the program lead for the masters of midwifery program; researching in Promoting Health and Wellbeing Group and teaching undergraduate and postgraduate students. Catherine is an active member of the Statewide Maternity and Neonatal Clinical Network. Catherine continues to share the findings from her research at conferences in Australia and internationally and in peer reviewed publications. Her goal is to continue to promote maternal health with a focus on health service delivery. Kilgour, C., Bogossian, F., Callaway, L. and Gallois, C. (2017). Postnatal gestational diabetes follow up: Australian women's experiences. In: 31st Triennial International Congress Integrative Manual Medicine Congress, Toronto, Canada, (). 18-22 June 2017. Kilgour, Catherine (2013) Gestational diabetes mellitus (GDM) follow-up in the early postnatal period. Australian Nursing and Midwifery Journal, 21 3: 44-44. Kilgour, C., Bogossian, F., Callaway, L. and Gallois, C. (2017). Seven secrets to successful postnatal gestational diabetes follow up. In: 31st Triennial International Congress Integrative Manual Medicine Congress, Toronto, Canada, (). 18-22 June 2017. Kilgour, C., Bogossian, F., Gallois, C. and Callaway, L. (2017). Seven secrets to successful postnatal gestational diabetes mellitus follow-up. In: Midwives: Making a difference in the world. 31st ICM Triennial Conference, Toronto, Canada, (). 18-22 June 2017.